Morrison Police Lt. Anthony Joiner writes a ticket during patrol in the small foothills town west of Denver. In 2014, traffic fines and fees accounted for more than half of the money generated by Morrison. Mountain View, population 518, is small geographically, stretching just six blocks east to west between Denver and Wheat Ridge, and three blocks north to south. It has 10 police officers who in 2014 wrote 3,624 traffic tickets. Final records for 2014 were not available, but in 2013 ticket revenues generated $621,099 – more than half of Mountain View’s municipal budget. As a percentage of total, that’s more than 10 times more than most Colorado communities earn from traffic tickets and related court fines. To date, Lucero has paid $130 toward her ticket. The original citation was for $80. After her original citation, Lucero was fined at least $130 in service fees and court costs. According to her court records, she was given a payment due date in mid-February for $155, after making a $55 payment in November. Though her next payment was not yet due, she was summoned to appear in court in December. When she did not return to court, Mountain View issued a warrant for her arrest. According to traffic ticket data provided to 9Wants to Know and Rocky Mountain PBS I-News, Mountain View’s most common tickets were seat belt violations (847), red light violations (372) and “obstructed view” (274), which can include cracked windshields or anything hanging from a rearview mirror. Defective tire tickets, like Lucero’s, accounted for only seven citations. University of Colorado Denver professor Lonnie Schaible, who works in the School of Public Affairs and studies policing practices, said municipalities relying heavily on traffic tickets for revenue raise several concerns. The U.S. Census reports Morrison’s population at 428, but with 146 of those residents in the Bear Creek Care and Rehabilitation Center. The municipality does border Red Rocks Amphitheater, which attracts huge crowds for concerts. The police force has more than 20 full-time, part-time and reserve officers. The town’s all-black cruisers and SUVs are often seen along U.S. 285 in Turkey Creek Canyon or on SR 470 with multiple arrays of safety lights flashing. Morrison’s policy is that police will stop and ticket only drivers exceeding the posted limit by more than 15 miles per hour, said the chief. “It’s a problem that has to be stopped,” said U.S. Rep. Emanuel Cleaver, D-Mo. Cleaver has proposed federal legislation that would allow communities to generate no more than 30 percent of their revenue from fines and court fees. The bill was inspired by the U.S. Department of Justice report on Ferguson, Mo., in the aftermath of the police shooting of Michael Brown last August and widespread unrest, that found police were stopping citizens to increase revenue for the city. “I just think that for the Congress or for the state Legislature to place limits on that, we would be very resistant to that,” said Sam Mamet, executive director of the Colorado Municipal League. 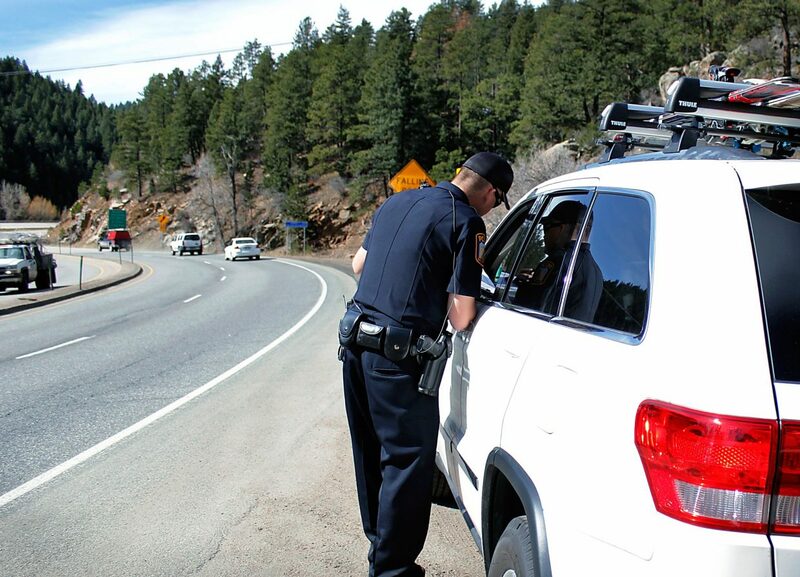 All towns and municipalities in Colorado collected a combined $122 million in traffic ticket revenues in 2013. But the 30 percent cap on revenue from fines proposed by Cleaver would affect only five towns in Colorado, as of 2013 data. One town, Campo in far southeast Colorado just north of the Oklahoma border, could cease to exist without traffic ticket revenues. Traffic tickets in Campo made up 93 percent of the town’s budget in 2013. That was more than $300,000 for the town of 107 people. The town relies on tickets. Without them, said Mayor Tim Grey, services would be significantly reduced.